D’Sean Ross has been making his mark in the comedic world from the west to the east coast. Comedy has landed him appearances on the Tom Joyner Show, MTV’s Yo Mama, the Steve Harvey Show (warm-up) and on BET Comic View. Most recently, he appeared on one of the first original programs on TV-One Who’s Got Jokes, Additionally he has traveled across the states to colleges and university’s bridging the gap between education and comedy. Ross has also been blessed to entire our troops of seas. 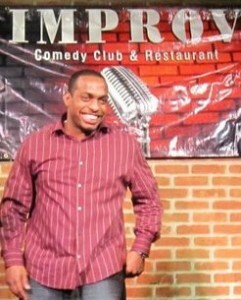 Currently, D’Sean Ross can be seen appearing regularly at the Laugh Factory and the Improv in Los Angeles.